Remembrance Day (also called Poppy Day or Armistice Day) is a memorial day celebrated in Commonwealth countries for the worship of the World Wars’ victims. Remembrance Day is observed on 11 November to recall the end of hostilities of World War I on that date in 1918. Hostilities formally ended “at the 11th hour of the 11th day of the 11th month”. 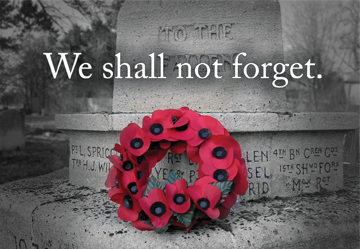 In the United Kingdom, the main observance is on Sunday nearest to 11 November, Remembrance Sunday. Members of the British Royal Family walk through the Foreign and Commonwealth Office towards the Cenotaph, assembling to the right of the monument to wait for Big Ben to strike 11:00 am, and for the King’s Troop, Royal Horse Artillery at Horse Guards Parade, to fire the cannon marking the commencement of the two minutes of silence.